Next week marks 73 years since two atomic bombs were dropped over the cities of Hiroshima and Nagasaki. Hundreds of thousands of people were killed and maimed, and the effects are still being felt today. But while the mushroom clouds became iconic symbols of mass destruction, and the paper cranes a symbol of hope for a nuclear-free world, there are many things you may not know – or may have forgotten – that are really important if we’re going to make sure this never happens again. By the end of 1945, the bombing had killed an estimated 140,000 people in Hiroshima, and a further 74,000 in Nagasaki. In the years that followed, many of the survivors would face leukemia, cancer, or other terrible side effects from the radiation. #3 First responders couldn’t help back then, and they wouldn’t be able to help now. Tthe reason we know this is that the extent of the damage in Hiroshima and Nagasaki in 1945 made it nearly impossible to provide aid. In Hiroshima, 70% of all buildings were razed and burned, 42 out of 45 hospitals were rendered non-functional and 90% of physicians and nurses in were killed or injured. In Nagasaki, ground temperatures reached 4,000°C and radioactive rain poured down. 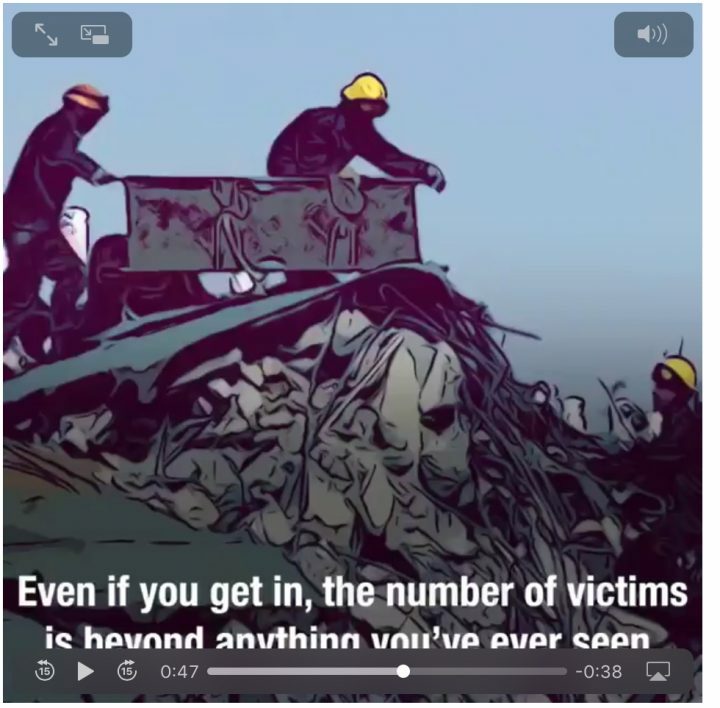 As a result, most victims died without any care to ease their suffering. Some of those who did enter the cities after the bombings to provide assistance later died from the radiation. It takes around 10 seconds for the fireball from a nuclear explosion to reach its maximum size, but the effects last for decades and span across generations. Five to six years after the bombings, incidence of leukaemia increased noticeably among survivors. After about a decade, survivors began suffering from thyroid, breast, lung and other cancers at higher than normal rates. Pregnant women exposed to the bombings experienced higher rates of miscarriage and deaths among their infants; their children were more likely to have intellectual disabilities, impaired growth and an increased risk of developing cancer. And for all survivors, cancers related to radiation exposure still continues to increase throughout their lifespan, even to this day, seven decades later. 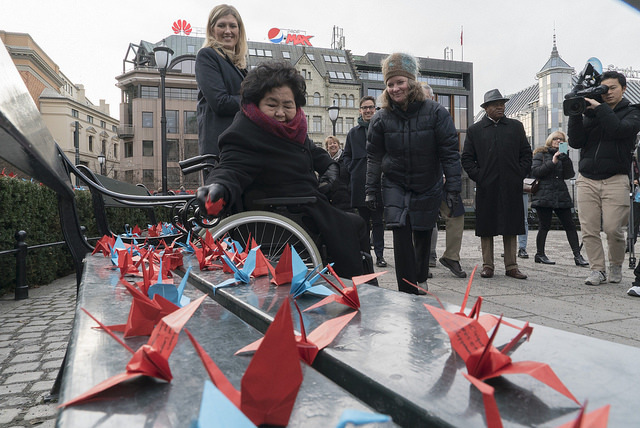 Paper cranes are a traditional Japanese symbol for good health, but they have also come to symbolize the Hibakusha – the survivors of the bombings. From the iconic story of Sadako’s 1000 paper cranes to the tireless efforts by Hibakusha to rid the world of nuclear weapons to this very day, their stories are stories of hope and determination that must not be lost. 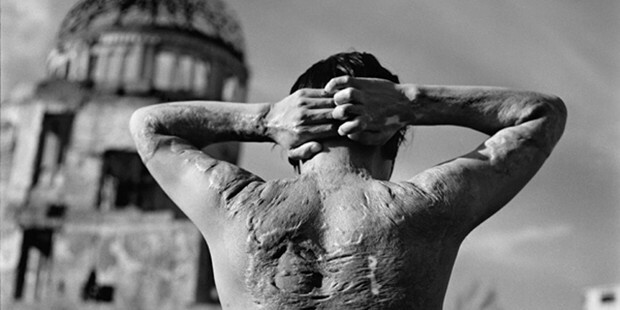 Survivors of the atomic bombings of Hiroshima and Nagasaki are living witnesses to the horror of nuclear war and when we talk about nuclear weapons, we must talk about the real unacceptable effects they can have on human beings. The paper cranes are not just a symbol of peace, but also a call to action. They are a reminder that we must keep pushing to see the #endofnukes. 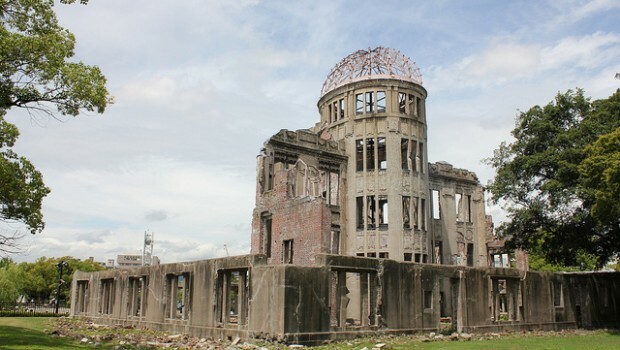 To learn more, you can find a vast number of Hibakusha testimonies online, but good starting places are Hibakusha Stories and the 1945 project, as well as these resources by the Hiroshima Peace Memorial Museum and the Nagasaki Atomic Bomb Museum. 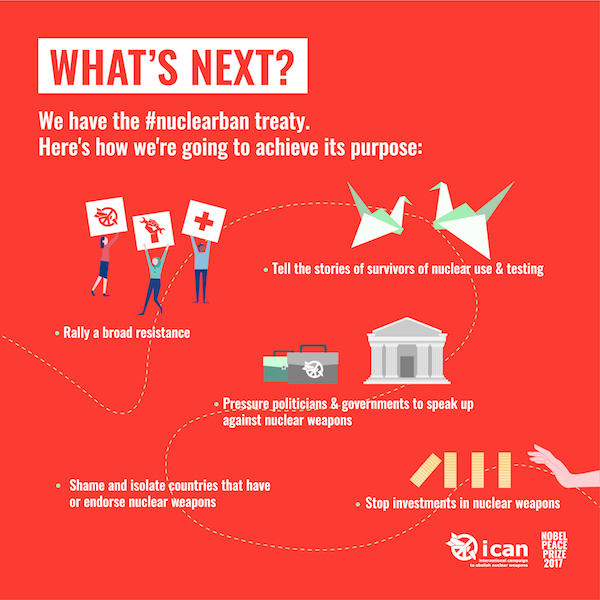 #6 There is a way to make sure it never happens again: the Nuclear Ban Treaty. or allowing nuclear weapons to be stationed on their territory. The treaty also prohibits states from assisting, encouraging or inducing anyone to engage in any of these activities and is the first international agreement on nuclear weapons that makes countries take action on the health and environmental legacies of past use and testing. After decades of campaigning for a world free of nuclear-weapons, the Treaty on the Prohibition of Nuclear Weapons holds great significance for the Hibakusha. A recent survey among 6000 Hibakusha carried out by Kyodo News showed that a vast majority feel that Japan should join the U.N. treaty banning nuclear weapons, underscoring their discontent with the government’s opposition to the agreement. Joining the treaty would represent a recognition by Japan of its affected citizens’ rights and suffering – continuing to oppose it on the other hand could be seen as a rejection of these.